March is a month of contrasts, isn’t it? Particularly here in the UK, some days there can be balmy, mild sunshine which shows off the multi-coloured budding flowers and the blossom on the trees. Other days, like today, there can be a miserable, leaden grey sky and a howling icy wind which destroys the buds and blows the blossom away. I, like most people I’m sure, prefer one of these types of day significantly more than the other. There was one of these rare sunny days recently. It reminded me that in a few short months, my sister and her fiance are getting married. They’re getting married abroad, which means a beach holiday (and the bikini which goes with it), and it was as such a notification that perhaps the time is here to wean ourselves off stodgy winter warmers, and towards lighter, more bikini body friendly meals. This particular salad is a happy medium. It is served warm, so is nice when the weather is as miserable as it is today (I resembled a drowned rat when I got home), and is packed full of healthy veggies. It’ll take approximately an hour in total to make, but it’s very low maintenance and the majority of this time is spent sitting on the sofa, drying off next to the fire. This will serve 3-4. 2. Trim the ends of the carrots and place in a large baking dish. Cut the top and tail off each beetroot and slice them into wedges (no need to peel). Add these to the dish along with half of the olive oil. Bake in the oven for 45-50 minutes, until soft. 3. To make the dressing, mix the remaining olive oil with the honey and lemon juice. Season with salt and pepper. 4. Towards the end of the cooking time, heat your lentils – either on the hob or in the microwave. 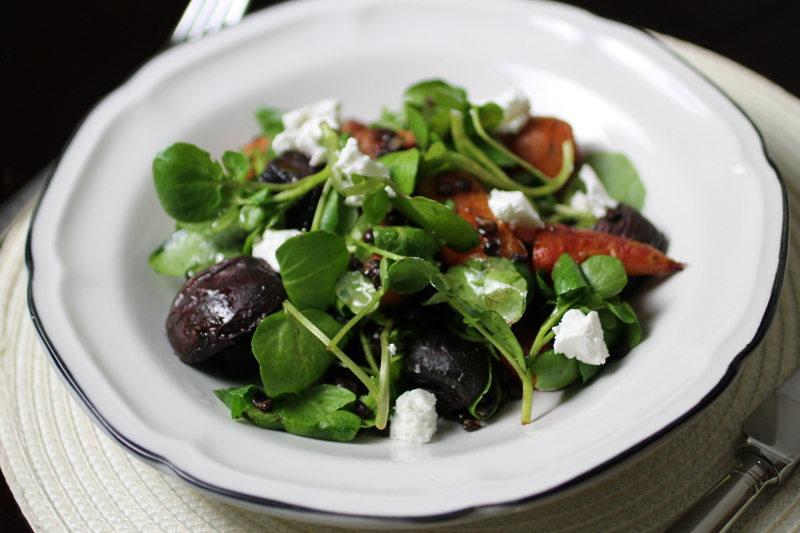 Place in a large bowl and mix with the watercress and cooked carrots and beetroot. 5. To serve, share out the salad between bowls and top with a few blobs of goats cheese and a drizzle of dressing. Enjoy! Such pretty pictures! I love beets. This looks delicious! Yum! I love roasted beets with goat cheese. I’ve never heard of ready to eat lentils so I’ll be looking for them at the store. As soon as I’m off this fast, this could be my first meal!!! This looks amazing! Thanks for the recipe. This looks really lovely. Beetroot and goat’s cheese is such a lovely combination. Oh good lord!!! That looks so fantastic!! I wanna be your house guest! Fabulous! Pretty and healthy! I love lentils in salads! 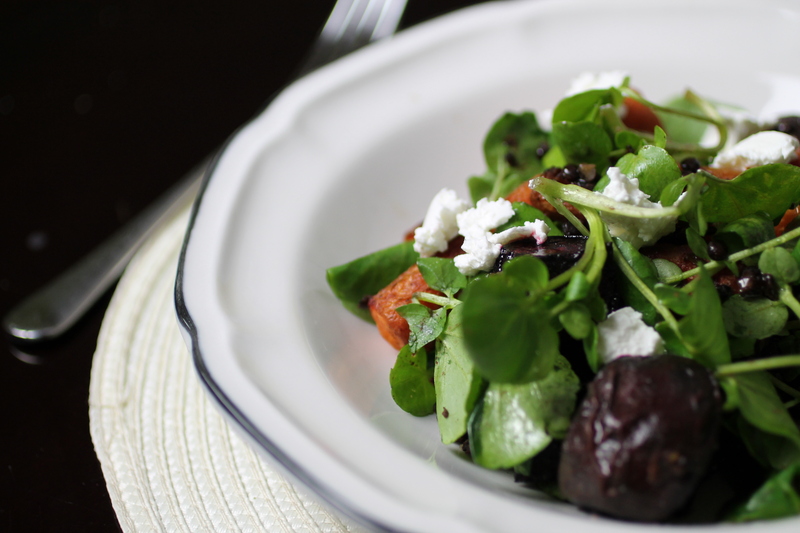 Don’t know what I love more…beetroot or a good salad.